I haven’t posted anything since half term. My life is now ruled by the school calendar more completely than ever. Counting terms it is a difficult habit to break when you leave school having spent three quarters of your life there, it was just about wearing off when my own children started school and it started to tighten its grip again but now, working in school, I am back to counting down the days of term until the next break. The Easter holiday starts tomorrow and I have time to catch my breath again for a little while. This term I have mostly been making hats (and a green jumper that I started three times but I’ll tell you about that another day). 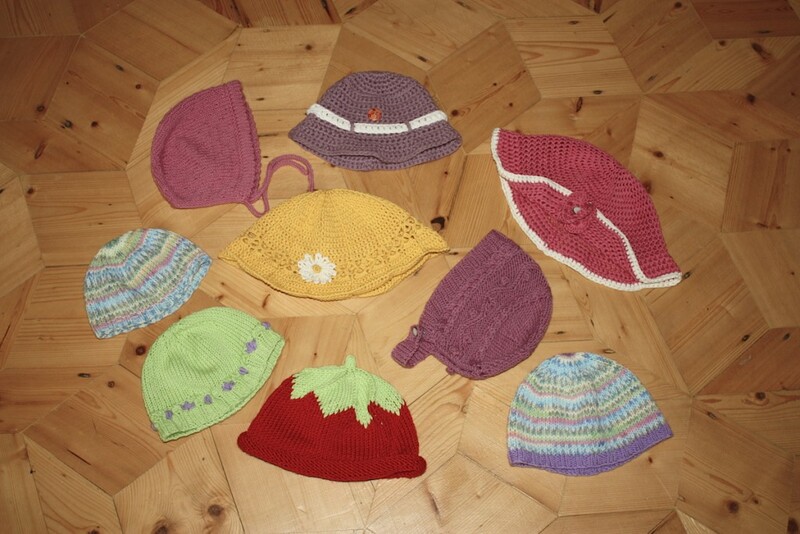 One of the teachers at school is starting her maternity leave today and she asked me if I could make her some baby hats (I mostly sit in the staff room with my knitting to give me an excuse for avoiding eye contact), she said her mum would do jumpers and stuff but hats were too fiddly. Anyway, I made a lot of hats and thoroughly enjoyed it and I even potted them up before I gave them to her. I haven’t done anything in the garden yet this year, is it showing? Sorting out the veg patch is on my list of things to do in the Easter holidays and I am hoping that BBC weather has got the forecast very wrong otherwise I won’t get far down the list. Me: What would you like for your birthday? Tiny: A big teddy turtle. Me: Oh. Right. Where are you expecting me to get you a big teddy turtle from? Tiny: You can knit one. Me: Yes. I could knit one. Me: How big is a big teddy turtle? Me: (Breathing a sigh of relief at how big ‘big’ is) Oh. Right. 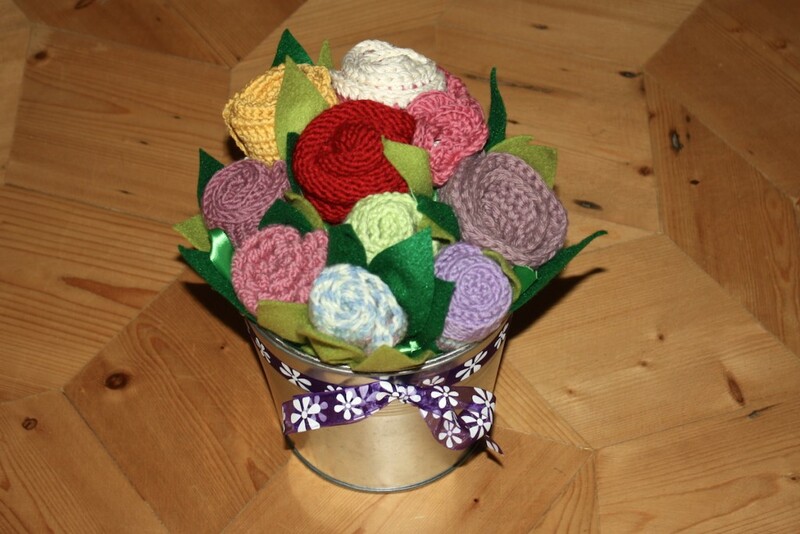 If I did knit one that is quite a small present, what would you like for your main present? Tiny: (Looks around room for inspiration) A chair. I don’t like that one any more. Me: Right. What sort of chair? Would you like a rocking chair? Tiny: Yes, a rocking chair. Me: Really? You’d like a rocking chair for your big birthday present? This child is unique. So now I am knitting a turtle (whilst investigating rocking chairs). So far it (the turtle not the rocking chair) has two legs, a body, a tail, half a head and no shell. We compromised on the colour – she wanted it to be red and pink and purple but we found one with welly boots and a rain hat so it is going to be green with pink and purple boots and hat. I drew the line at knitting a pink and red turtle.